Private apartment with large 3 piece bathroom, full kitchen with everything. 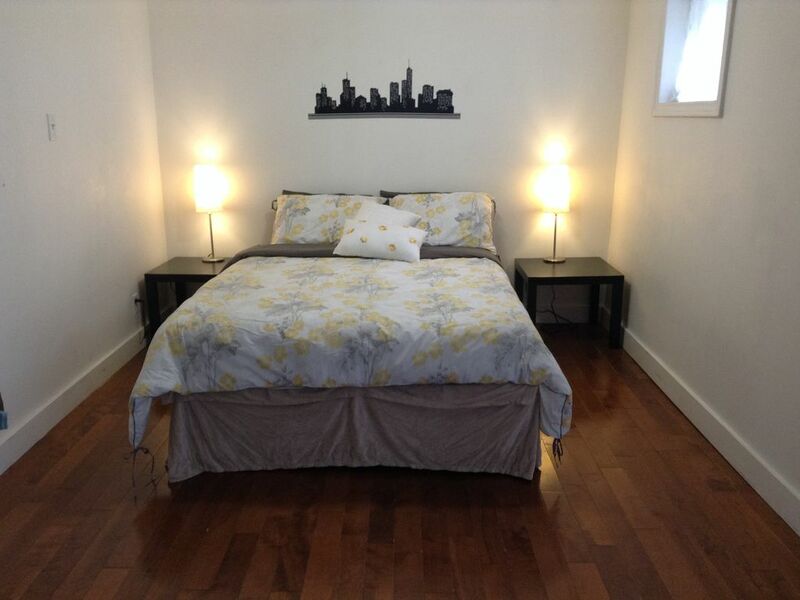 Large newly renovated batchelor apartment. Cozy, private and quiet. Perfect for one or two persons. Separate private entrance. Large bathroom with shower sink and toilet. Kitchen has gas stove, microwave, pots and pans, glasses, dishes etc. Everything you need. Small Dining room table with 2 chairs. Cozy Queen size bed. With bedside tables and lamps each side of the bed. Closet and storage. Flat screen TV and 2 TV chairs. Price includes cable and hydro, Free wifi. Free Parking Walk out to covered patio and BBQ in large landscaped garden. 2 minutes from grocery store and restaurants. 2 minutes to bus stop. Quiet neighbourhood. Bedding, towels tea, coffee, paper for bathroom and kitchen provided. Originally from the UK. I moved here 29 years ago. Ive got a college diploma in addictions, and I work in withdrawal management services at a local hospital. I love animals and the Dominican Republic. This is a very unique property with its ship windows on the front porch. I love my garden and look forward to the compliments that i get from passers by. This is a quiet home. absolutely NO smoking or Vapours. No candles. No parties. No cooking on gas stove after 10pm. Ok to use the microwave. There are a few steps leading to the apartment and walk out to patio. I am available for help and advice. Also to give tips about my vibrant city and navigating the transit system. Other than this you will be left to your privacy.